I have tried to acquire a taste for beer for awhile and with no such luck, I am still a cocktail kind of girl. I was intrigued though while skimming through the latest Catersource Magazine to see that beer is becoming quite popular for some couples. Anja Winnika who is editor of The Knot writes, "Craft beers are being used to highlight a couple's origins, much like the signature cocktail trend. A beer tasting is a cute way to highlight where the couple's from, either where the couple met originally or where their families are from." 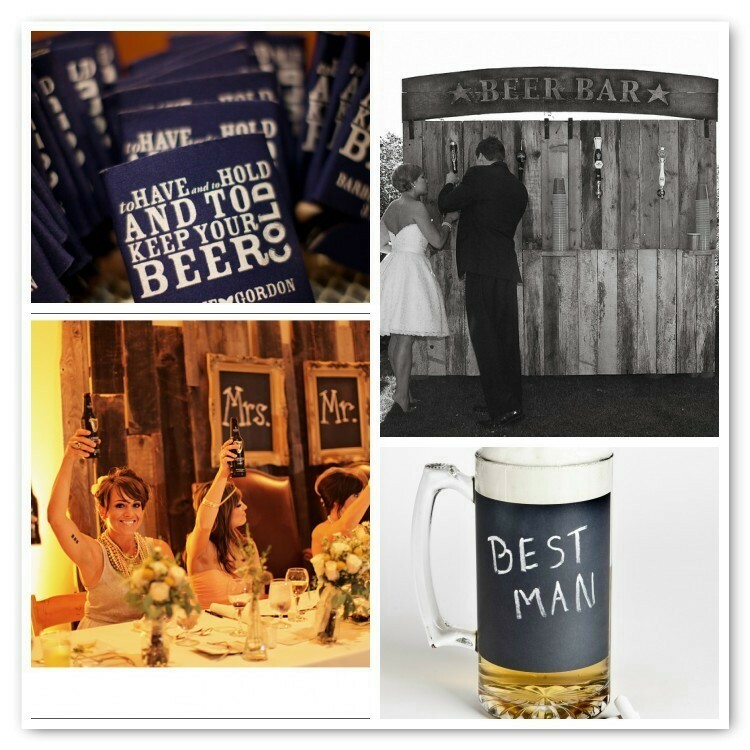 We have planned two weddings where beer was a big focal point. One of the weddings had German beer served in their very own German beer garden for the bride who studied abroad in Germany. The other was a Guinness Beer toast (in place of a champagne toast) for the couple who lived in Ireland for awhile during the bride's studies. Will your signature drink be a type of beer on your big day?